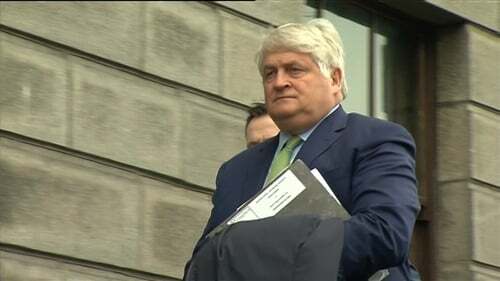 Businessman Denis O'Brien has told the high court that his spokesman contacted the Sunday Independent over an article published about his finances in 2012. Mr O'Brien, who is a major shareholder in INM, gave the evidence in his defamation action against the Sunday Business Post, over articles published in March 2015, written by Tom Lyons and fellow journalist, Gavin Sheridan. Mr O'Brien claims the articles portrayed him as one of a gang of 22 "developer kings" who destroyed the country and bankrupted the banks. Yesterday, under cross-examination by Senior Counsel Michael McDowell for the newspaper, Mr O'Brien said he did not believe he had done anything about a 2012 article in the Sunday Independent, also by Mr Lyons and another journalist, Nick Webb. That article described Mr O'Brien as one of "13 buccaneer borrowers" and gave details of his borrowings with Anglo Irish Bank. He said he was shocked by it but told the court it was clear the editor of the Sunday Independent had been working that day as the paper was very careful in how it described him. He said he was not described in the same terms as the Sunday Business Post described him. Mr O'Brien said you had to live a life, and he could not spend his day writing letters to people when he was trying to run a business in every corner of the world. Today he told the court he wanted to correct his answer. He said he actually did something about the 2012 article. He said his spokesperson, James Morrissey, had a lot of correspondence with the Sunday Independent. Mr O'Brien rejected a suggestion from Mr McDowell that Mr Morrissey was his "vicar on earth" or "PR guru". Mr O'Brien said he would not describe him that way. He said there was long correspondence between Mr Morrissey and the Sunday Independent and he believed he ultimately got an apology from the managing editor of INM, Michael Denieffe, about the coverage. He said there were articles every week at that time and he believed his answer yesterday to be true but he had since checked and wanted to correct the record. He said he did not have the correspondence between Mr Morrissey and the Sunday Independent in court, apart from an email from Mr Morrissey to someone in the paper. Mr O'Brien has claimed the articles in the Sunday Business Post were malicious and that the newspaper souped up and exaggerated a story based on a PwC report to Government about Ireland's banks and their biggest borrowers. Under cross-examination yesterday, he claimed Mr Lyons moved from one newspaper to another, brought his files, rewrote the story and turned it into something else. He said the journalist blamed 21 people for bringing down the country, and stuck him into the middle of it. Mr McDowell asked Mr O'Brien if the correspondence between Mr Morrissey and the Sunday Independent took place before or after the Sunday Business Post articles were published. Mr O'Brien said Mr Morrissey had told him overnight that there was an apology and he took him at his word. Mr O'Brien's Senior Counsel Paul O'Higgins told the court he wanted to raise a legal issue in the absence of the jury and the jury was eventually sent home until Tuesday, when the trial will continue. Before the jurors went home, Mr Justice Bernard Barton told them they were aiming to finish the trial by next Friday. He asked them not to discuss the case with anyone.